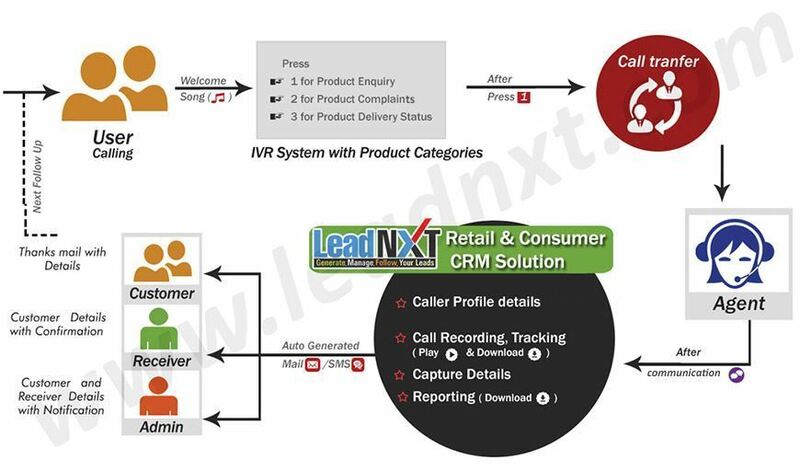 LeadNXT CRM Solutions for Retail and Consumer solutions is the most reliable service for the customized people. It plays a vital role in competing with the market and build up the brand loyalty, it also helps you to overcome the challenges and maintain interaction with the customers. Sales associates and business partners are the prominent people to expand the business, Not only that they manage the relationship with the patrons effectively so as to achieve market goals. This program accommodates functionality which develop the retail and consumer interactions so as to achieve maximum satisfaction. CRM Solutions - It caters insight into customers' behavior to capture accurate data, without interrupting the costumer interaction which delivers utmost customer satisfaction. It efficiently captures the business interaction data with the customers. IVR Solutions - The IVR Solutions has the exclusive feature of providing self-services for solving their problem through IVR, which help you to get in contact with your associate. The company associate helps you to overcome your problem in an effective way and reduction in cost.